The Australian country code is 61. When calling from outside Australia, leave out the leading '0' from the phone number that you want to call. Once in Australia, dial 0 + the area code of the State of your recipient (or 4 if you wish to call a mobile phone) + the phone number. The area codes are the following: 2 for NSW and Canberra, 3 for Victoria and Tasmania, 7 for Queensland, 8 for Western Australia, South Australia and the Northern Territory. Mobile phone: You will be able to buy a prepaid SIM card in most supermarkets. The main operators are Telstra, Optus, Vodafone and Virgin. The network coverage is usually good in inhabited areas, but may be non-existent in remote places. Telstra offers the best network coverage. Emergency number: Call 000 in an emergency to connect to police, ambulance and fire brigade. Web: Free wifi is usually available in the hotels, libraries, train stations, airports, restaurants, coffee shops, malls and/or tourist centers of the main cities. In the Australian Outback, you might not have access to an internet connexion. Post: Post offices are usually open from 9am to 5pm, Monday to Friday. An international stamp cost around 2.50AUD. A postcard will approximately need one or two weeks to reach your recipient. Bringing drugs, weapons and protected wildlife into Australia is forbidden. Fresh and packaged food, feathers, plants and seeds are also prohibited. Keep left: Australians drive on the left side of the road. Fasten your seatbelt: The drive and all passengers must wear seatbelts. Children under age 7 must be in a child restraint. Speed limits: Speed limits are strictly enforced in Australia. Be especially careful in school zones and residential areas. Alcohol and drugs: You are not allowed to drive a car if your blood alcohol level is 0.05% or above. Driving after taking drugs is forbidden. Mobile phones: You are not allowed to use your phone while driving. 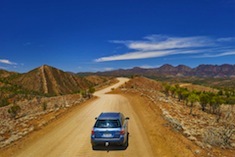 Driving in remote areas: Be careful when you are driving in remote areas. Avoid driving at night: there might be animals on the road. Inform your friends of your expected arrival time: the network coverage might be inexistent once on the road. Remember to carry extra water and make sure you have plenty of fuel. Unsealed roads: You should have a 4WD if you are travelling on unsealed roads. Driving license: You must have an international driving license in addition to your national driving license. Fuel: Fuel is cheaper than in Europe. Prices are different from one State to another, and are higher in the Outback than in the main cities. In remote areas, gas stations can be far apart from each other. Remember to check your fuel level quite often. Tolls: Tolls apply when you use some specific roads in and around Sydney, Melbourne and Brisbane. Car rental agencies will advise you on the best pass to buy. Australia's electrical current is 220-240 volts, AC 50Hz. You might need an adaptor. In most cases, you will not need to get vaccinated to go to Australia. Australia has a well-developed health system, but health care is expensive. Remember to suscribe an health insurance. Australia has a high rate of skin cancer. Remember to protect yourself from the sun even in winter / when the weather is cloudy. To travel with our travel agency, you will have to suscribe to an assistance/rapatriation insurance. Summertime does not apply in the Northern Territory, Queensland and South Australia. Exchange: The official currency in Australia is the Australian dollar (AUD). At the beginning of year 2016, the rate was about 1€ for 1.50AUD. You will be able to exchange money in the banks and bureaux de change of the main cities. Credit/debit card: Most Australians pay for their purchase with their debit cards. It is the easiest and cheapest way of paying in Australia, even if your bank may charge you some fees. These fees are different from one bank to another, so remember to ask your bank for more information. Visa and Mastercards are accepted almost everywhere. Diners and American Express cards are also often accepted. Travellers' Cheques: They can be exchanged in most banks and bureaux de change of the biggest Australian cities, but fees often apply. Those in American dollars usually have a better exchange rate. You must have a valid passport in order to travel to Australia. Most travellers also need a visa. Check here which type of visa you need (the most common are: ETA, E-visitor and Visitor Visa). Criminality: Australia has one of the lowest criminality rate in the world. It is a safe destination, whether you travel alone or in group. Animals: Accidents are fortunately less frequent than myths! Sharks: Favour supervised beaches; Avoid bathing early in the morning or late in the evening, alone and/or far from the coast; Do not bath if you are bleeding. 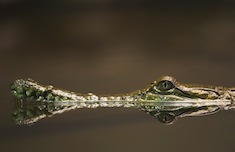 Crocodiles: Do not bath in the rivers of Australia's tropical areas; Watch for signs, and if you do not see any, ask locals. Snakes and spiders: Wear high shoes as a precaution; In the event of bite, call the poison control center (126 or 131). Jellyfish: Watch for signs and favour beaches with stinger nets. It is forbidden to smoke in public areas, but also on the beaches. Most hotels only have non-smoking rooms. Packs of cigarettes cost about 20AUD. Tipping is your choice. It is usual to tip waiters 5-10% of the bill for good service. Bargaining is not custom in Australia.